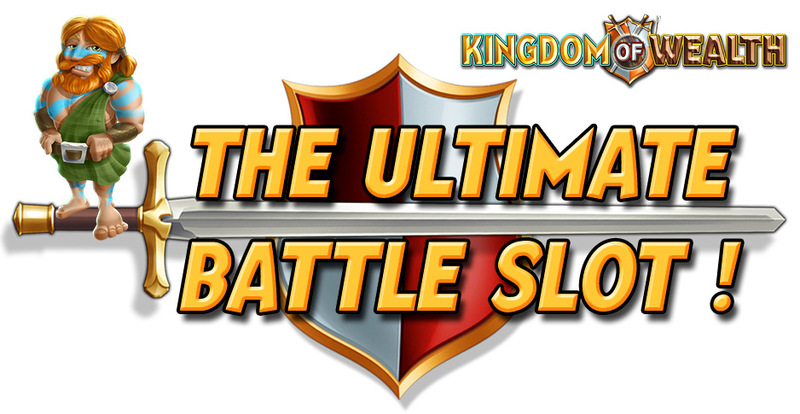 Prepare for the ultimate battle in the Kingdom of Wealth, presented in glorious free to play 3D. Based on the real game of the same name, there's plenty going on with a host of features and mini-games. Battle like never before as you take control of your destiny in this game of 3 thrones. Head into battle with the Queen, Monk and Barbarian. Build up a monster virtual fortune with big wins awarded across a massive 20 reels. Advance from humble beginnings all the way up to the ultimate goal of becoming King, with badge awards at each level. Stacks of credits each day in free play (Requires an online connection). 60 FPS 3D gaming on all supported devices. Smash the bank in the Royal Respin feature with big prizes up for grabs. Head for the big money in the full head to head to head battle as all 3 characters go for the big bucks with monster multipliers on offer all the way!